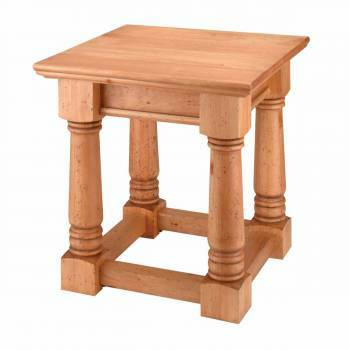 End Table Vintage Unfinished Pine KIT 23 H x 21 1/4 W x 21 1/4 proj. End Table. 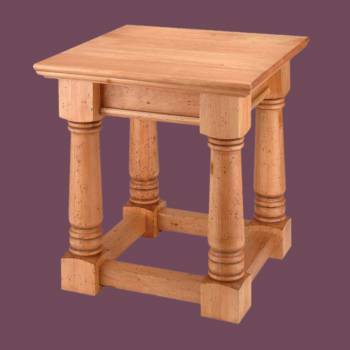 This Vintage end table KIT is built of solid pine. It is unfinished pine, leave as is or stain as desired. This KIT requires assembly. Measures 23 in. H x 21 1/4 in. W x 21 1/4 in. proj.